You don’t have to leave home to experience the world around you, if you are alert and paying attention. Often we think of seeing new creature elsewhere when we travel and that the moon looks more romantic and idyllic from another location. 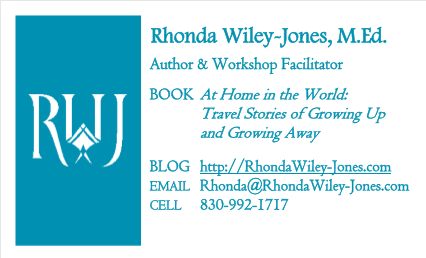 But I have three encounters with nature–two at home and another one, what could be your hometown–that wowed me this summer in the good old United States. I have had no luck in identifying a tiny reddish-brown toad that hatched just about 2 weeks ago here in south central Texas. In seven years of living here, I’ve never seen this one before. I walk the dog everyday, so I notice things like this. By “tiny” I mean about half the size of my little fingernail when they first arrived. They appeared over night in the hundreds of thousands, I presume. Two weeks later they are now about the length of the first joint of my little finger. They are everywhere–hopping out of the grass as I walk; lounging or leaping about in our rock garden; and sometimes smashed on the golf cart path. Toads are helpful critters in that they eat fleas, mosquitoes, and other bugs as they grow larger. I’m fascinated by their size; their color, which matches the red rocks in the garden; and their numbers. I hope to learn more; but until then, I’ll enjoy their company. Last Friday morning as Murphy (our Shih Tzu) and I started out for our walk about 6:45 a.m., the full blue moon sat on the horizon in front of me. It looked as if the tree tops were holding it up. It was platter size and golden yellow surrounded by peachy tones in the sky. I always have my cell phone with me–but not this day. I am sorry I have nothing except my description to offer you. The day before I had heard on NPR about the July “blue moon.” Though not always blue in color, it refers to both full moons of a calendar month or the fourth moon in a season, which only happens about every 2.7 years. The last one was in 2012; the next one, likely in 2018. Read more about a blue moon to learn how it came to be called that by mistake on the NPR site above. Though I was traveling out of state this year when I encountered a new critter, this could be your hometown. I was in Jackson, Tennessee visiting my Aunt Faye. When I got out of the car I heard this strange whirring noise unlike anything I’d heard before. Almost industrial, like a machine working hard to cut through tough material, but not quite. 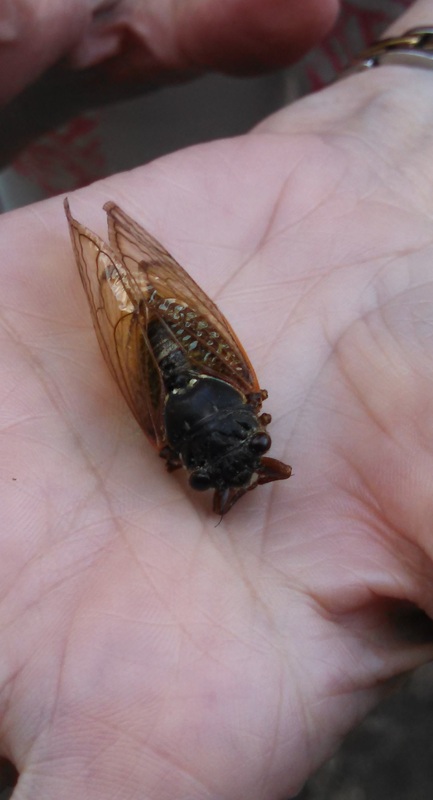 When I asked about the sound, Aunt Faye explained it was a 17-year cycle cicada (not the same one I see and hear all the time whether I’m in my home state of Arkansas, in my current home in Texas or in France, which is renowned for the cicada). We took photos of it in my mom’s hand. I came home and looked it up, it is called the Magicicada Periodical Cicada. It is not the typically annual cicada that we hear at night in the summer, that is squarish at the head and wider, and that is greenish iridescent. This one is slender and a warm reddish-brown color. 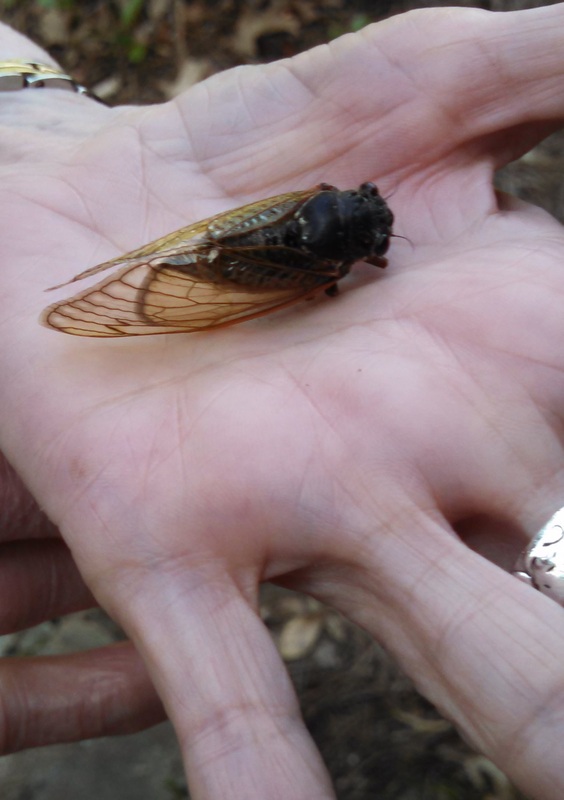 In fact the Magicicada Periodical Cicada, is heard in the spring and early summer and only in certain states. AND it whirs, instead of chirping; it fills the air with a sound that one feels as well as hears. Have you experienced a new critter or new nature sighting this summer in your backyard, hometown park, or friend’s farm or ranch close to home?